1. 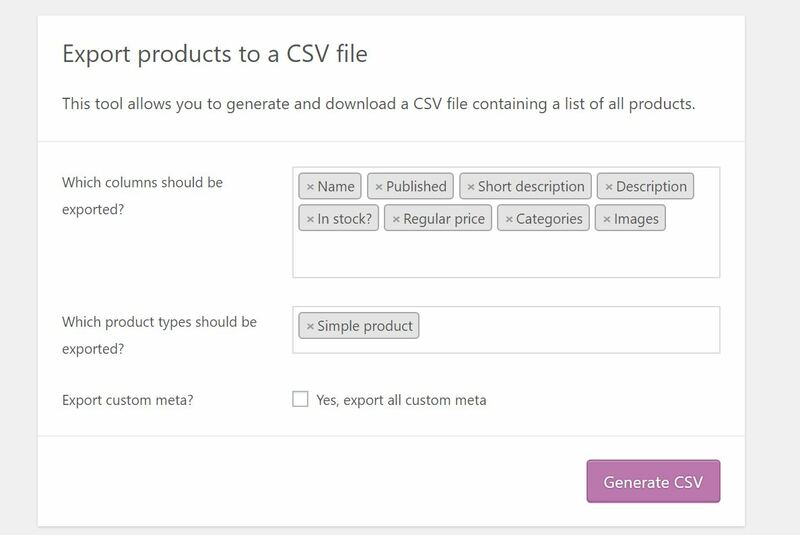 As of version 3.1x WooCommerce has a built-in product CSV exporter. 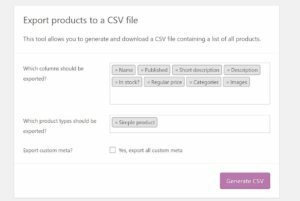 We recommend using it over a plugin and this guide is for the built-in exporter. If you prefer to use a plugin, refer to the plugin’s page for details.